with IntelliSense Technology to automatically apply the right amount of pressure for fast, accurate and more comfortable measurements. Cuff Wrapping Guide Lamp – Guides user to the right cuff wrap by indicating ”OK.” This feature ensures an accurate and reliable blood pressure measurement. 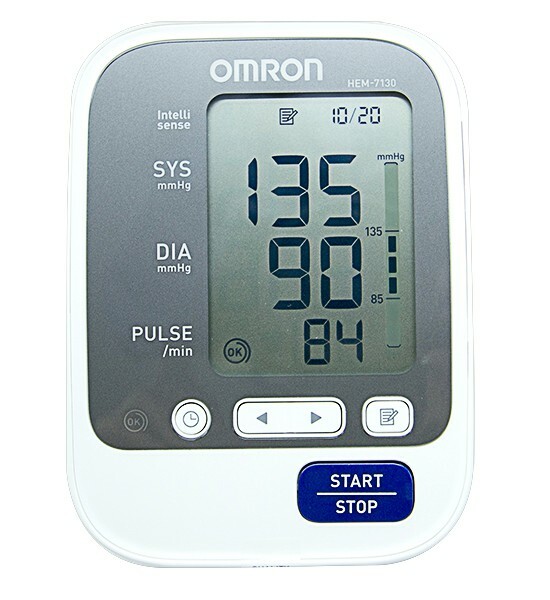 Blood Pressure Level Indicator – For easy interpretation of results. 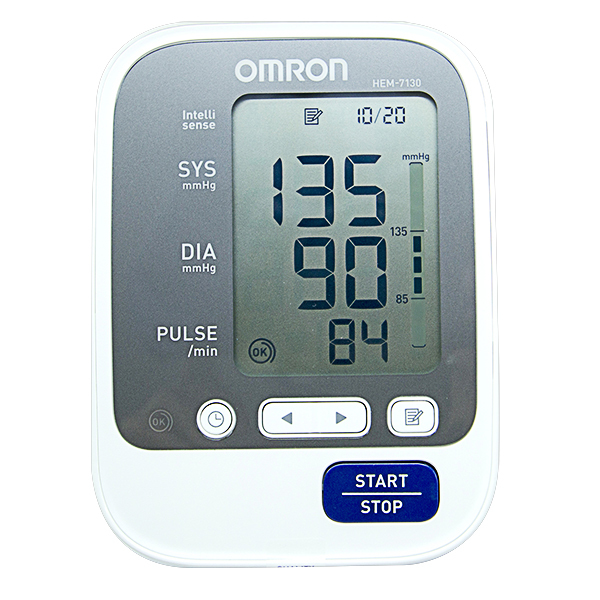 Note: Recent studies show that systolic or diastolic pressure values above 135 systolic / 85 diastolic mmHg indicate high blood pressure.